Providing you the best range of fire fighting pumps and fire pumps with effective & timely delivery. Backed by advanced manufacturing unit, we offer a wide range of superior quality Fire Fighting Pumps. . Our range are precision engineered by using optimum quality stainless steel and resist to rust. These pumps are fitted with mechanical seals for maximum utilization of energy and improved efficiency. 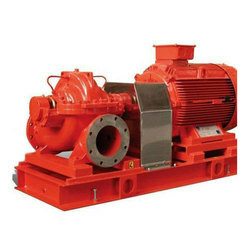 Manufacturer & Exporter of Fire Pumps. 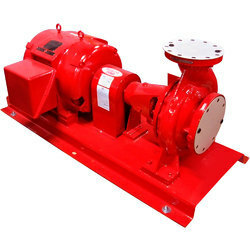 Our product range also comprises of Centrifugal Pump and Sanitary Pump. Looking for Fire Fighting Pumps ?